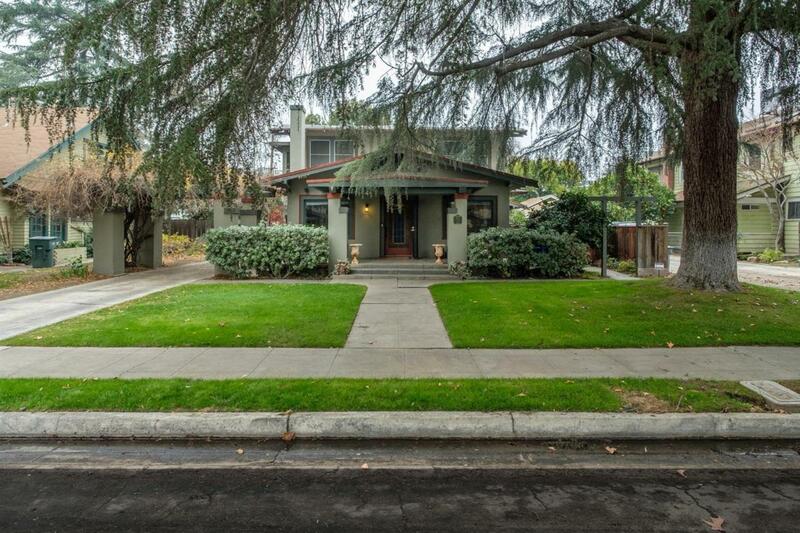 Come see this beautiful 3 bed 2 bath two story classic bungalow in historic Old Fresno High District! Take in the beautiful mature tree in the front yard, and regal craftsman style archway over the driveway that matches the house. Standout features include hardwood floors, brick fireplace, stained glass paneled front door, formal dining room w/ glass front built-ins, & an updated kitchen w/ eat in banquette. Master bedroom upstairs opens up to a sitting area & lovely balcony. The backyard includes a large wooden deck, crepe myrtle trees, grassy area w/ play structures, and fenced gardening beds.